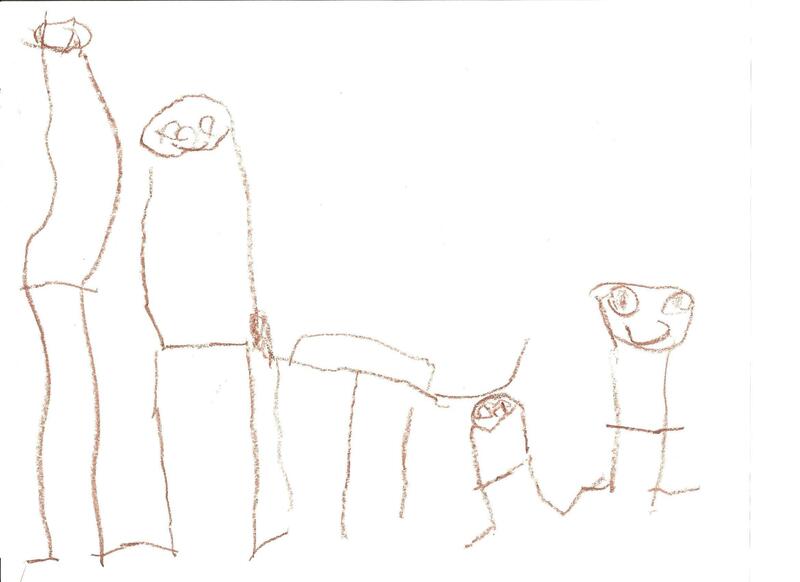 Hayden brought this drawing home from day care last week, and I just LOVE it! He’s managed to draw all of the people in his family and even included Lucy! It’s easy to tell it’s Lucy because it’s so skinny and has a thin long tail. Not sure where Mimi and Abbey are, or why none of us have arms, but I’m happy that we are all smiling and I managed to get eyes which John would be jealous of if he had any to see. Layla has an uncanny resemblance to R2D2 – Hayden is pretty into Star Wars now (to John’s delight) so I can’t say for sure if this is a coincidence or not.